An international tribunal created to try the suspected killers of former premier Rafik Hariri was inaugurated Sunday at a special ceremony in The Hague, with the chief prosecutor warning that "no one was immune" from punishment. "I welcome you to the opening ceremony" of the Special Tribunal for Lebanon, registrar Robin Vincent told VIPs, diplomats and journalists gathered for the much-anticipated event at the tribunal's new seat at former Dutch intelligence headquarters in the suburb of Leidschendam. Guests included the U.N. under-secretary general for legal affairs, Patricia O'Brien, Lebanese ambassador to the Netherlands Zeidan al-Saghir and the tribunal's chief prosecutor Daniel Bellemare. "We must not forget that the main reason why the tribunal came to existence is the sufferings of the victims and their families," Vincent said. "In the end, we are not here today just for the United Nations or the international gathering. We are here for Lebanon," he added. "We are not here for those who committed these crimes, we are here for the victims of these crimes," he concluded, before requesting a moment of silence in memory of those who were murdered on February 14, 2005. For his part, Bellemare ensured that the tribunal does not fall under any form of external influence. "Our work will be independent. We work according to evidence, the law and our own conscience," he told the ceremony. The Canadian judge was adamant in his position that official indictments would only be issued based on incriminating evidence. He also made clear that no side or figure would be exempt from answering to the court. "I will not issue an indictment unless fully convinced with the evidence presented. I will not press charges just to please a certain side," he said, in an indirect warning against political meddling in the trial's proceedings. Bellemare also declined to give a timeframe for when he will start pressing charges, but he confirmed there will be more than one indictment. "No one is immune," he insisted, adding that the crime was committed "by several individuals, while others people were aware of it." He again said he will soon be filing a "request to the Lebanese government to hand over all that is related to the tribunal, including the detainees." Four Lebanese generals have been in held in Lebanon for nearly four years over the killing. Bellemare said any decision to release the four figures "will be up to the tribunal." As of Sunday, the office of the prosecutor will have 60 days to apply to the Lebanese authorities for the transfer of suspects and evidence files. In the meantime, the international investigating commission will continue its work "in compliance with international criteria," Bellemare said. He said so far he has not faced any impediments to his work. "Neither do I expect to face any difficulties in the future. But in case I do, we will take the necessary measures." He also said that Syria's cooperation with the STL has been "satisfactory." Bellemare has led the international investigation into a series of attacks on Lebanese political and media personalities, notably Hariri's assassination in a car bombing in that also killed 22 other people. There was no indication of a date for its first trial. Addressing the audience, O'Brian described the STL as a "turning point" in the international community's efforts to end a culture of impunity that has allowed murder crimes in Lebanon to go unpunished. The tribunal, created by a U.N. Security Council resolution of June 2007, will apply the Lebanese penal code. It has an initial, renewable, three-year mandate, though Vincent has predicted it may need closer to five years. O'Brian said that one of the traits that distinguishes the STL was that elements of civil law were "more apparent" in comparison with previous international tribunals. The application of civil law and the Lebanese penal code, she explained, guarantees "swift trials, prevents unnecessary delays and allows trials in absentia." She pointed out that international "interest in the tribunal will definitely increase as it moves forward." She assured the Lebanese public they will be able to follow the tribunal's proceedings and will be able to "access accurate and correct information on the trial's progress." The U.N. official insisted on the "impartial and independent" nature of the tribunal. She said the STL's formation is a "strong indication that these assassinations and terrorist attacks will not be allowed to continue." For his part, Lebanese Ambassador Saghir said: "The Lebanese have long waited for this day. Justice will take its course. The Lebanese people have the right to feel safe." Lebanon has been trying "to end the wave of terrorist attacks" on its soil, he said, adding that the tribunal "has come to lift this heavyweight off Lebanon's shoulders." The identities of the tribunal's 11 judges, four of them Lebanese, are being kept under wraps for security reasons. In its early stages, the UN probe into the murder implicated top officials close to Syrian President Bashar Assad. Damascus has consistently denied any involvement. Vincent has told reporters that the courtroom, to be erected in what used to be a spies' gymnasium, was unlikely to be completed before November this year. The tribunal, he added, had a separate wing of holding cells at the Dutch penitentiary in Scheveningen, which "is operational, staffed and ready to receive anyone we get." Daniel Bellemare, public prosecutor of the Special Tribunal for Lebanon, said Sunday he will file a request "as soon as possible" for the transfer of four detained Lebanese generals to The Hague. The generals - former head of the presidential guard Mustafa Hamdan, security services director Jamil Sayyed, domestic security chief Ali Hajj and military intelligence chief Raymond Azar – have been in Lebanese custody since 2005 on suspected involvement in the assassination of ex-Premier Rafik Hariri. "The generals will not be held in custody indefinitely. They will stand trial one day," Bellemare - the Canadian judge who assumed his post as prosecutor midnight Saturday – told al-Arabiya television in an interview. The STL, which will start operations Sunday, was formed to try suspects in Hariri's assassination. "There are other suspects in the crime, in addition to the four generals," Bellemare said, "but we have not yet reached the indictment phase." The STL will "work as fast as possible to complete investigations." He added that the international investigating commission will "meet with witness Zuhair al-Siddiq again." Bellemare has two months from when the tribunal begins to ask for the generals to be brought to the Netherlands, and can urge the tribunal to either free them or keep them in custody. "Crimes in Lebanon were not committed by ghosts. They were committed by members of a group of professionals or a government institution," Bellemare told al-Arabiya. He acknowledged that some have cast doubt on the "possibility of launching" the STL, and called on all sides to "realize that the tribunal is now a reality." In Beirut, Hizbullah second in command Sheikh Naim Qassem called on politicians to stop "meddling" in the judiciary to allow the "release of the four generals, who according to Amnesty International, are being unjustly detained." The generals - who have not been indicted - are held on suspicion of premeditated murder, attempted premeditated murder and carrying out terrorist acts. For her part, STL communications officer Suzan Khan said that security measures around the STL headquarters have been heightened for the tribunal's inauguration. "There are no fears of security breaches or assaults" on Sunday, she told the pan-Arab al-Sharq al-Awsat newspaper. The following are LBC TV reports leading up to the Tribunal. Mustaqbal Movement MP Saad Hariri, son of slain former PM Rafik Hariri, hailed the formal opening on Sunday of the Special Tribunal for Lebanon set up to prosecute suspects in his father's 2005 assassination. "Today the flag of justice for Lebanon is being raised in The Hague," Hariri said in a statement on the occasion of the launch of the international tribunal. "It's a historic date," Hariri said. "March 1 is the fruit of the efforts of all Lebanese people who supported the establishment of the tribunal and who refused to yield to threats and terror." His father was killed in a massive car bombing in Beirut's seaside Ein Mreisseh district Feb. 14, 2005 along with 22 other people. The international tribunal "will be neither a tool of vengeance nor a tool of extortion or compromise at the expense of Lebanon's dignity and freedom," Hariri said in his statement. He said the court will not only "punish the criminals, but at the same time it will be a tool for the protection of Lebanon, its leaders, its thinkers, its people and its democratic system against organized crime." Lebanese leaders on Sunday laid wreaths on the tombs of Rafik Hariri and other political figures killed in attacks since 2005 as part of a series of ceremonies in Beirut to mark the launch of The Hague court. "The dream has become reality and the criminal knows that justice will chase him everywhere," journalist May Chidiac said. She herself survived an assassination attempt when a bomb exploded in her car. "In this region, we finally have international justice which protects us," Chidiac added. Russia said Sunday it will "support" all rulings by the Special Tribunal for Lebanon and stressed the need to "uncover the whole truth and punish perpetrators of political assassination crimes." A Foreign Ministry official told al-Hayat newspaper the outcome of the tribunal "must be based on a meticulous examination of facts and in-depth research." Moscow "does not doubt the tribunal's objectivity and no one wants to witness a political circus," he said, stressing the need for the killers to be punished. The official, who was not identified, said "the tribunal must not affect political life in Lebanon or affect the upcoming elections." The international tribunal's registrar, Robin Vincent, said the warrants issued by the court would be international and all members of the United Nations should abide by them. "All arrest warrants issued by the tribunal are compulsory international documents for all United Nations members," Vincent said in an interview with al-Mustaqbal newspaper on Saturday. He added that an international and non-Lebanese pre-trial judge has been appointed to look into the findings of the U.N. commission investigating ex-Premier Rafik Hariri's killing. The panel's mandate officially expires at midnight Saturday as the tribunal starts functioning the next day. Vincent said that the final draft of the tribunal's bylaw would be approved once the judges meet at Leidschendam. He did not provide a date as to when the meeting would take place adding that the U.N. Secretary-General would like to keep the date confidential to protect the Lebanese judges who have to travel to The Hague to be sworn in. The pre-trail judge would only begin work once he and tribunal judges are finished with placing the bylaw of the court that includes what could be termed as the legal criminal procedures related to the Special Tribunal for Lebanon. Sunday's tribunal opening event at Leidschendam in the Netherlands is to be attended by 15 ambassadors representing donor nations and 90 media figures representing 70 media outlets (newspapers and satellite televisions). "Very soon 11 judges will meet. (3 initial judges, 5 appeal judges, 2 substitute judges and a pre-trial judge) would all be sworn in prior to approving the tribunal's internal order," Vincent said. He added that the 5 Appellate Court judges are also scheduled to meet (they include 2 Lebanese judges). Vincent did not clarify whether a male or female judge would head the tribunal. Despite the signature of a bilateral agreement between the United Nations and Lebanon regarding the tribunal, any other U.N. member country would also be concerned with this agreement, Vincent told al-Mustaqbal. "Lebanon cannot sign an agreement with every U.N. member nation, and the U.N. here means all U.N. member states. In this regard the bilateral agreement with Lebanon forces all U.N. member states to fully cooperate with the tribunal, because the United Nations is party to this agreement," Vincent said. Prime Minister Fouad Saniora said that 4 years following the assassination of ex-premier Rafic Hariri and his companions the tribunal sets a new beginning for ending a chain of rampant assassinations in the country. On the eve of the launching of the special tribunal for Lebanon Saniora issued a statement outlining his view on the issue. 1. The assassination of Rafik Hariri and his companions exemplified the peak of criminality and terrorism that controlled Lebanon and targeted political leaders and intellectual elites. All assassins remained unknown, and in time this became a given fact. 2. 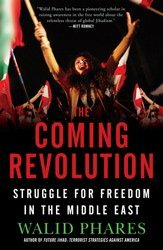 The Lebanese people erupted in March 14 2005 to say to the world that they no longer accept this situation to continue as is. That is to say that they no longer accepted these crimes to go unpunished. 3. The launching of the special tribunal 4 years following the Hariri assassination constitutes a new and serious beginning for ending the chain of unpunished assassinations in Lebanon. 4. The Lebanese do not seek vengeance, they only wish to protect their country and prevent the terrorists from persisting in their crime unpunished. 5. Great sacrifices made by the Lebanese for their freedom and independence are only matched by their determination and that of the international community in establishing this tribunal so that criminals are punished. 6. I would like to thank the United Nations Independent International Investigation Commission (UNIIIC) and Lebanese security forces for their great efforts in this field. 7. I also extend my full appreciation to the United Nations Security Council members, and friendly nations that continue to look after the just cause of Lebanon and for funding this tribunal. I also pay tribute to U.N. Secretary-General Ban Ki-moon and his assistants for their thorough follow up on making the tribunal a reality. I also thank the Netherlands for accepting to host and facilitate the work of the tribunal. 8. It is important to ensure the Lebanese government's full support and cooperation to the tribunal and its work and our commitment to all its legal rulings. The leader of the al-Mustaqbal Movement MP Saad Hariri, told the Reuters news agency on Friday "we fought, sacrificed for this tribunal for 4 years. It would be impossible for us to oppose it whether we content with its results or not." The special tribunal for Lebanon will be launched on Sunday March 1 at the Hague and will bring to justice all those that tribunal's prosecutor general would say are involved in the 2005 assassination of Lebanon's ex-premier and others. Hariri whose father Rafik was killed in a massive bomb on February 14 2005 said: "I fully trust that the special tribunal would do its job and arrive at all the facts (relating to the assassination) and punish the guilty. "Lebanon has been suffering from assassinations for 30 years from one president to another from one prime minister to another, to clergy to journalists. For the first time we see that justice will take its course," Hariri said. He added that his family does not consider the tribunal a victory adding: "our loss is great, no tribunal will ever bring back Rafik Hariri, neither would return any of our friends and loved ones back. Victory is for justice, if we ever achieved anything for Lebanon it is justice." Hariri ruled out any U.S.-Iranian-Syrian rapprochement, or improved Syrian-saudi relations would influence the tribunal's judgment. "The issue is far removed from politics now, it is an issue of international justice, there are 300 investigators in this tribunal what would they do with them? Look at what happened at the previous international tribunals were there any settlements? " Hariri asked. He referred to the issue of Darfur , and the assassination of Pakistani political leader Benazir Bhutto as examples. Police chief Maj. Gen. Ashraf Rifi on Friday ordered security forces to be on maximum alert on the occasion of the launch of the Special Tribunal for Lebanon on March 1. Rifi issued a directive ordering to raise the level of alertness to "100 percent." He stressed the need to take stringent security measures, conducting patrols and setting up checkpoints to keep peace and order. The ISF and the army should coordinate efforts in all Lebanese regions, Rifi added. The examining magistrate on Friday denied a request for the release of the four generals detained on suspicion of involvement in the 2005 assassination of former Prime Minister Rafik Hariri. It was a last chance effort to free the four generals -- in custody since 2005 on suspicion of premeditated murder, attempted premeditated murder and carrying out terrorist acts -- before they are handed over to the international tribunal which starts functioning on March 1. On Thursday, the generals submitted a request to examining magistrate Saqr Saqr for immediate release. Saqr on Friday, however, turned down all requests for the release of former head of the presidential guard Mustafa Hamdan, security services director Jamil Sayyed, domestic security chief Ali Hajj and military intelligence chief Raymond Azar. On Wednesday, Saqr released three of seven suspects held over the murder of f Hariri. But the judge rejected demands for the release of Sayyed and Hajj. Daniel Bellemare, the Head of the U.N. International Independent Investigation Commission left Beirut Friday evening for a short trip to Paris before heading to The Hague to assume his post as public prosecutor of the Special Tribunal for Lebanon. Earlier Friday, Bellmare told the Lebanese people in an open letter that he will do everything to ensure that the truth emerges and that those responsible for the investigated crimes be brought to justice. The process initiated by the Lebanese Government on behalf of its People with the support of the international community to put an end to impunity in the country will soon take a historic turn. On that date, an important phase in the history of the promotion of justice and the rule of law concludes. March 1, 2009, will mark another historical milestone that is the launching of the operations of the Special Tribunal for Lebanon. Both events will undeniably find their place in the history of Lebanese and international justice. The United Nations International Independent Investigation Commission is unique. It is the first of its kind and is precedent-setting in many ways. Like any new process, it was not perfect. But we adjusted and found solutions where none existed. And as we close down our doors, we will leave behind a series of lessons learned for others to benefit if needed. But one thing remains beyond any doubt: the reason for which it was created, that is to help the people of Lebanon find the truth and put an end to impunity is a noble cause that deserves our commitment and collective effort. On the eve of our departure, I am more aware than ever of the hopes that the People of Lebanon have entrusted in us. I am also aware of the fears and doubts that an unknown process generates. As I have mentioned before, public confidence, both in the process and in the institution, are essential to the success of our mandate. We will continue our partnership with the media in promoting public confidence. Our doors will continue to be open to the media in order to assist its representatives in conveying accurate facts upon which their public can make up their own mind. I did not want to leave Lebanon without addressing the People directly to tell you that the end of the Commission's mandate is simply the end of a chapter. It is not the end of our mission. Our work continues. With renewed ardor and determination. We are strongly committed to the mandate that the People of Lebanon has given us through the Security Council. We will not be deterred by the obstacles or the size of the challenge. We are persistent. We will go wherever the evidence leads us. We will leave no stone unturned. Our investigative work will now continue from The Hague, in The Netherlands. But the Office of the Prosecutor of the Special Tribunal for Lebanon will have a field office in Beirut. It will serve as a base for the investigators who will undertake regular missions to Lebanon to collect evidence and to meet with Lebanese Officials and witnesses as required. I want to thank the Lebanese Authorities for the valuable assistance and the cooperation they extended to the Commission and I know that the Office of the Prosecutor of the Special Tribunal for Lebanon can count on the same level of cooperation. I also want to express my deepest gratitude to the People of Lebanon who have, since 2005, offered their hospitality and support to the Commission. I want to salute their courage and resilience in the face of adversity and their resolve to make a better future for their nation for the generations to come. We learned a lot from Lebanon and its people. My commitment to you is to serve the cause of justice on the basis of a principled approach based solely on facts and evidence. Like the Commission, the Office of the Prosecutor will not be influenced by any political consideration. Justice can not and should not be used as a political tool. Like the Commission's work, the findings of the OTP investigations and the steps I would take as the Prosecutor, as well as the outcome of the STL should not be prejudged or speculated upon. The STL is not after revenge: it is after justice. Everybody, be they witnesses, detainees or accused, will be treated with dignity. Justice requires no less. Dignity is the hallmark of a credible and humane Justice process. Lastly, I want to reassure everybody that my team and I will do everything that is humanly and legally possible to ensure that the truth emerges and that those responsible for the crimes that fall within our jurisdiction are eventually brought to justice. This objective should not only be that of the Office of the Prosecutor, but it should also be the common and resolute goal of the People of Lebanon. Hizbullah on Friday stressed that the continued arrest of the four Lebanese generals is "political and illegal." The Shiite party called in a statement on examining magistrate Saqr Saqr to "listen to his conscience" and urged him not to "succumb to political pressure." The group also called on Saqr to free the four generals "as soon as possible." Saqr on Friday turned down a request for the release of the generals who are charged with involvement in the assassination of former PM Rafik Hariri. Hizbullah's deputy chief, Sheikh Naim Qassem, also called for the release of the generals. "This is a big test for the judiciary. I hope it would succeed in its last chance or else the result would be a big burden that would not be erased," he said. "We will make serious moves," Qassem warned. A decision to sign a Memorandum of Understanding with the international tribunal has been delayed to give March 8 minority cabinet ministers more time to study the proposal. Justice Minister Ibrahim Najjar suggested the signing of the MOU between the Lebanese government and the Special Tribunal for Lebanon after chief U.N. investigator Daniel Bellemare becomes the court's general prosecutor. The memorandum calls for organizing relations between the Lebanese judiciary and the general prosecutor. An Nahar daily said Friday that the cabinet decided to discuss the issue next week after March 8 ministers demanded time to study the proposal. The ministers also gave the green light to install cameras to monitor the homes of officials involved in the court, which will start functioning on Sunday, and at the Justice Palaces of Baabda, Jdeideh and Sidon. Following a request from majority ministers, Defense Minister Elias Murr and Interior Minister Ziad Baroud vowed to present details about other ongoing investigations into different incidents, including kidnappings and An Nahar's recent report about the arrival of two convicted men to Lebanon via Syria without being arrested. During the session, which lasted more than five hours, the cabinet also gave its approval to a draft law that includes a set of conditions for demands to have international observers monitor the elections. Amnesty International urged Lebanese authorities to go beyond the international tribunal's narrow mandate of investigating the killing of ex-Premier Rafik Hariri and ensure that the perpetrators of other grave human rights violations in Lebanon are also brought to justice. "The Special Tribunal alone cannot provide sufficient response to the long pattern of impunity that has persisted in Lebanon," said Malcolm Smart, Director of Amnesty International's Middle East and North Africa Program. "The establishment of the Tribunal is a positive step that could help ensure justice for the serious crimes it is to investigate. But if it is to gain credibility and public confidence, it must be accompanied by complementary measures that address the grave human rights abuses of the past, as well as those that continue in the present," he said. 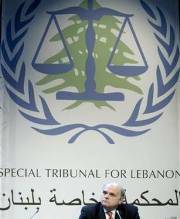 The mandate of the Special Tribunal for Lebanon, which is set to start operation on 1 March 2009, is by far the narrowest of any tribunal of an international nature, the London-based non-governmental organization said. This means that the court "will do nothing to address the enormous number of other grave human rights abuses committed in Lebanon in recent decades, raising concern that the justice being promoted is politically selective," AI said. The NGO urged Lebanese authorities to open prompt, independent and impartial probes into all allegations of serious human rights violations of recent years not covered by the court's mandate and to bring to justice the perpetrators. These include the killings of civilians at the Nahr al-Bared Palestinian refugee camp in northern Lebanon during clashes between the army and Fatah al-Islam fighters in 2007. Other human rights abuses, according to Amnesty, include ongoing reports of torture and abusive detention. The authorities should also address the situation of four former security generals who are being detained in connection with the investigation into Hariri's Feb. 2005 murder, AI said, adding that their detentions have been ruled arbitrary by a U.N. expert group. "The resolve to ensure justice in the case of Rafik Hariri contrasts markedly with the repeated failures of the Lebanese system to deliver justice for other political killings and human rights abuses," said Smart. "This creates a perception that some are considered more deserving of justice than others and presents a clear challenge to the credibility of the Special Tribunal." Amnesty said that Lebanese authorities have also done little to tackle the legacy of gross human rights abuses of the past, notably those committed during and following the 1975-1990 civil war, including the killing of tens of thousands of civilians and the forced disappearance of thousands more. "Amnesty International urges the Lebanese authorities to establish an independent commission of inquiry into the abuses of the civil war period and to repeal the amnesty laws of 1991 and 2005 so that those responsible can be prosecuted," it said, adding that the international community has an important role to play in supporting such initiatives. "Having invested so heavily in the Special Tribunal, the international community needs now to press the Lebanese authorities to focus their attention on delivering truth and justice for the full range of victims of human rights abuses in Lebanon, regardless of the profile of the victims or the presumed identity of the perpetrators," said Smart. France and Saudi Arabia will maintain their support for the Special Tribunal for Lebanon regardless of efforts to improve ties with Syria, the French foreign minister said Thursday after talks with his Saudi counterpart in Paris. "Paris and Riyadh are in agreement over supporting the STL regardless of any attempts of rapprochement between France and Syria and between Saudi Arabia and Syria," French FM Bernard Kouchner told a press conference alongside his Saudi counterpart Prince Saud al-Faisal. Although the two officials did not discuss the tribunal during their meeting, but the French and Saudi positions "have not changed," Kouchner said. "Saudi Arabia and France both contributed in the financing of the tribunal since the beginning and we await the results." Kouchner voiced hope that the STL will "find the perpetrators of Hariri's assassination." He announced he will be visiting Saudi Arabia on March 22. For his part, Prince Saud said "the tribunal is in the hands of the United Nations." Four top Lebanese generals, in custody since 2005 for suspected involvement in the murder of ex-Premier Rafik Hariri submitted a request to investigating judge Saqr Saqr Thursday for immediate release. Saqr will issue a ruling following deliberations with the public prosecution. The generals are the former head of the presidential guard Mustafa Hamdan, security services director Jamil Sayyed, domestic security chief Ali Hajj and military intelligence chief Raymond Azar. On Wednesday, Saqr released three of seven suspects held over the 2005 murder of f Hariri. But the judge rejected demands for the release of Sayyed and Hajj, a judicial source said. For his part, Hajj "again refused to stand before the investigating magistrate for a face-to-face meeting with Fatah al-Islam official Ahmed Merei." Justice Minister Ibrahim Najjar said Thursday that the Lebanese judiciary will comply with every measure taken by the international tribunal adding Lebanon is awaiting justice from the court. "The Lebanese judicial authority agreed to hand over all documents in the Hariri murder case and detainees to the tribunal," Najjar unveiled in a press conference. "We do not want any party to interfere with judicial decisions" of the court that will try ex-Premier Rafik Hariri's suspected assassins, he said. "Lebanon awaits justice from you," he said in a letter addressed to the tribunal which will start operating on Sunday. "Our future depends on the battle you wage in the face of crime and the lack of consciousness that threatens regional and international peace," Najjar said. He said the transfer of the suspects and files depend on a decision made by the pre-trial judge and based upon the request of the prosecutor general. "All Lebanon with all its sects and parties receives with trust the news of the beginning of the court's work as decided by the U.N. Secretary-General and Security Council," Najjar said during the press conference. He said there was no political reason behind Wednesday's release of three suspects who were held in connection with Hariri's Feb. 2005 murder. The continued arrest of four former security generals is a "judicial matter," according to Najjar. Lebanese authorities on Wednesday released three of seven suspects held over the 2005 murder of former Prime Minister Rafik Hariri, the office of public prosecutor Saeed Mirza said. The three are Lebanese brothers Mahmoud and Ahmed Abdel Aal and Syrian Ibrahim Jarjoura, all held on suspicion of withholding information and misleading the probe into the assassination. Their release comes shortly before the Special Tribunal for Lebanon, set up to try suspects in the 2005 Beirut bomb blast that killed Hariri and 22 other people, opens its doors in The Hague on Sunday. However, investigating judge Saqr Saqr rejected demands for the release of two other suspects -- former Lebanese security services director Jamil Sayyed and domestic security chief Ali Hajj, a judicial source said. They are among four Lebanese generals who were pillars of the security apparatus long orchestrated by Syria, the country's then powerbroker which has roundly denied accusations it was behind the Hariri assassination. The other two are Mustafa Hamdan, who headed the presidential guard, and Raymond Azar, who was commander of army intelligence. The generals have been detained since August 2005 on suspicion of premeditated murder, attempted premeditated murder and carrying out terrorist acts, but none of the seven was ever indicted for the murder. Detlev Mehlis, former head of the U.N. commission investigating ex-Premier Rafik Hariri's assassination, said that he has a "very clear picture" of the murder, stressing he has evidence of Lebanese and Syrian involvement in the bombing attack. "The picture is quite clear in my mind," Mehlis said in an interview published by pan-Arab daily Al Hayat on Wednesday. "I have a very clear picture" of Hariri's assassination. Hariri was killed along with 22 other people in a massive bombing that ripped through his motorcade in Beirut's seaside Ein Mreisseh district Feb. 14, 2005. Mehlis said he was looking forward to the day when fingers are pointed in the face of those who commit these crimes. Mehlis assured that the crime was not exclusively committed by Lebanese nationals, but also by non-Lebanese, adding he has evidence that Lebanese and Syrian security service members have "played a role" in Hariri's assassination. He said the investigative team had identified the suspects – the four Lebanese generals, adding that the U.N. commission together with the Lebanese had also pinpointed additional suspects on suspicion of involvement in preparing the murder. The German investigator said he was looking forward to the day when fingers are pointed in the face of those who commit these crimes. He ruled out any compromise on the Special Tribunal for Lebanon which will start functioning in The Hague March 1. Mehlis believed that the main thing that could hurt the tribunal is lengthy trials. On the four Lebanese generals detained since 2005 on charges of involvement in the Hariri murder, Mehlis said: "Legally … they should be handed over to the court." He recalled that the generals had been arrested on suspicion of their involvement in the Hariri assassination. "As far as I know, they remained in prison for a period of three years after I left for this very reason," Mehlis told Al Hayat. He said he strictly believes that it is the responsibility of the Office of Public Prosecution and the Court to decide the fate of the four generals, who include former presidential guard chief Mustafa Hamdan, the former head of the general security department Jamil Sayyed, Ali Hajj, who was internal security forces chief, and the former head of army intelligence Raymond Azar. Mehlis said Lebanese authorities have the "power to act" to make decisions regarding the detained generals and others arrested in connection with Hariri's killing until the day they are handed over to the court. He said among the two most important conclusions he had reached with his team was that those involved in the murder belonged to an organized group which has extensive resources and capabilities.